RASUWA, Nov 21: Dawa Tamang of Langtang village was decisive about the candidate whom he would vote during the recently held local level elections. He had clear idea about all the contesting candidates as they were from his area only. He had made the decision based on their image and reputation. Now, as the parliamentary and provincial elections are at the doorstep. Tamang is still undecided because he does not have idea of the contesting candidates’ image and reputation. Most of them have not seen their candidates and this has made it difficult for them to decide, he says. “This is not just my concern but everyone’s. People here have not even seen the face of the candidates that are contesting the elections to represent us,” he states. Candidates hardly reach this zone during elections. During the Constituent Assembly elections, both during the first and the second one, Langtang locals had idea only about the agenda of the parties. They had not known the candidates. “Due to remoteness, candidates rarely come here or organize any election related activities,” Tamang explained. 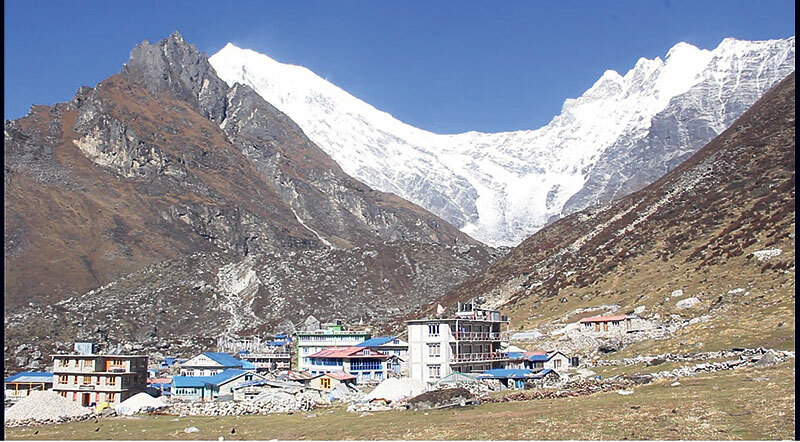 Due to the lack of transportation service, outsiders hardly go to Langtang. “Ours is a remote place where people come only if they have serious purpose or if they are tourists who love the snow capped mountains,” he said. Langtang attracts my tourists annually for its beauty. This area’s economy is sustained by tourism. Unlike Tamang, there are locals who are not interested in knowing election candidates or their party’s agenda. They feel that they have nothing much to do with leaders or their parties. “Ignoring election is both their compulsion and their choice. Compulsion, because, they feel that even if they care, the government or the parties are not going to care about them. When you are uncared for by the state, you find no point in taking much interest in it either,” Tamang shared to elaborate on the reason behind the lack of interest in some residents. Apart from them, some choose to remain ignorant about things happening around, he added. Then, how do the people of Langtang vote during election? Tamang states that the voters go after election symbols. Many have fair idea about the election symbols of the old parties. “This benefits the established parties,” he noted. He stressed that such practice has been hampering the locals from making educated choice and called on candidates to visit their place and share their plans with them. “They might have ignored this area because it is small and remote. However, as we will be voting for them, it’s their duty to visit us at least once,” he asserted. “We need to see all the candidates and know their agenda before making a decision,” he added. 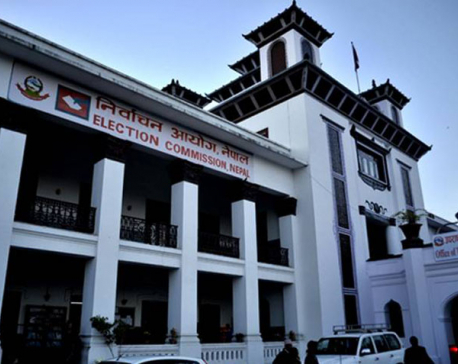 According to the data of the Election Commission, there are 292 voters in Langtang. Due to lack of road connectivity, conducting election is a challenging job in Langtang. After the votes cast, bringing back the ballot boxes to vote counting centers takes days. “In absence of roads, everything has become so difficult for us. To connect Lantang with the rest of the country, we must think of roads first,” said Tamang. “But as politicians don’t show up their face even during elections, there is no one to whom we can submit our demands,” he added. Another local Suppa Tamang stated some voters in the area don’t even know where their votes go and what do the leaders do for them after being elected. “Some of us vote in vain as we absolutely have no idea of what the leaders do after getting elected. So far, leaders have not brought any plans, projects for us,” Suppa said. Reaching Langtang and nearby villages takes two days of walk from the district headquarters Dhunche. Some leaders state that the short time frame of election campaign does not allow them to reach to remote areas like Langtang. Such tendency, Suppa stated, has deprived Langtang of development opportunities and projects. “The leaders say that they cannot come here because there is no road. They have not carried out any kind of educational classes for the election now. It happens other times as well,” he stated. Election commission officials meanwhile stated that Langtang is sensitive zone even in terms of security. Similarly, adverse weather has also affected their activities in the area. The officials said that plan to deploy officials in the area by within few days.